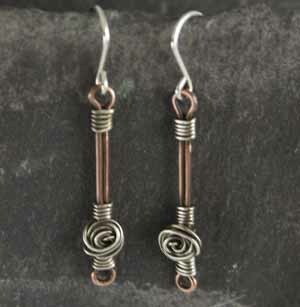 Handmade from copper and silver wire in the style of a rose bud. 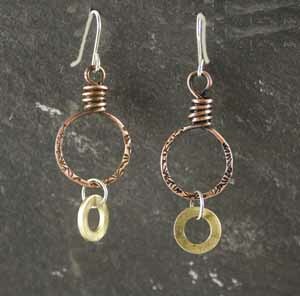 Wire wrapped earring with stamped pattern and brass dropper. 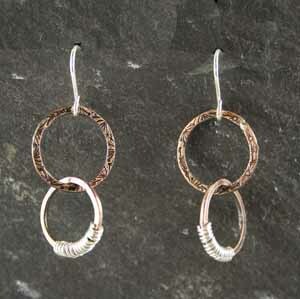 Copper hammered bark effect with silver wire wrapped trim. 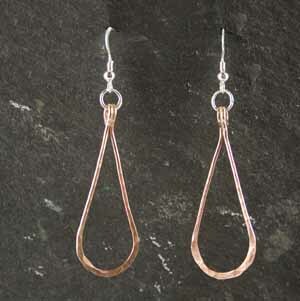 Copper hammered wire earring in polished copper which has the appearance of rose gold. 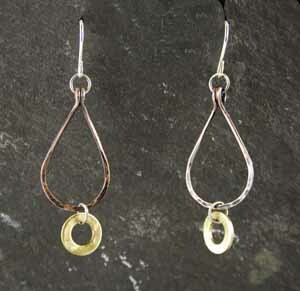 Hammered copper wire with brass dropper. 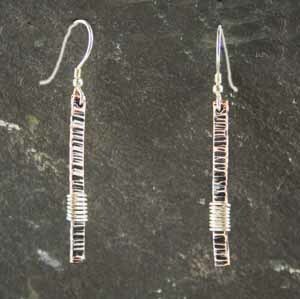 Copper wire with stamped pattern and wrapped with silver. 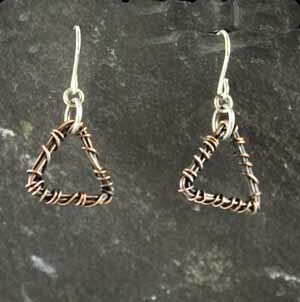 Layers of copper wire wrapped together to form a triangle drop.